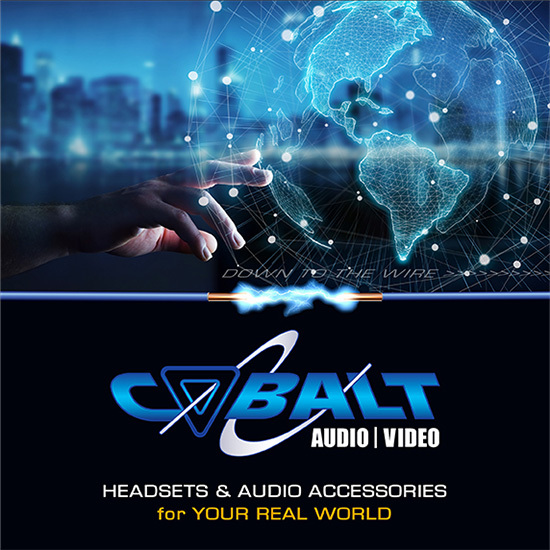 Cobalt Blue™ wireless bluetooth adapters allow compatible BT headsets and other audio devices to connect with portable 2-way radios. Cobalt Blue pairs easily with Cobalt’s BT-TOP adapters for muff headsets, SPML-BLUE speaker mics, BLUE-MIC surveillance kits, the BLUE-HS headset, and the BLUE-PTT wireless tx switch. It will also pair with many other BT headsets. The Cobalt Blue adapter will remember paired components even when turned off. Patented “smart switch” feature automatically routes radio audio and mic to a BT or wired accessory. When no audio accessory is connected, audio and mic are routed to radio’s internal speaker and mic. (This feature does not work on all radio models). • Allows you to use a wireless Bluetooth headset with your 2-way radio in place of a speaker microphone or wired audio accessory. • Several Push-to-Talk options: use the PTT button on the BLUE adapter to initiate transmissions , or use the optional BLUE-PTT wireless Push-to-Talk, or use an optional Quick Disconnect wired audio accessory (sold separately). • Most (multi-pin connector) models are powered by the radio and do not require any batteries or charging. Simple pin models have an internal Li-Ion battery pack and must be recharged between uses. • Patented “Smart Switch” feature automatically routes RX and TX audio to the appropriate wireless or wired audio accessory depending on what accessories are connected to the BLUE adapter. When no audio accessories are connected, audio is routed to the radio’s internal speaker and microphone.